When you see two motorcycles for sale on eBay, and see that they are close in conditions, as a buyer you have to think about the added cost for shipping. Being on the West Coast, I really try not to look at motorcycles east of the Mississippi, and I am sure that some readers on the left coast would not think about anything over those tall mountains in the right center of the country. What I found for our readers are two very similar bikes, one that will appeal to the East, and one to the West. 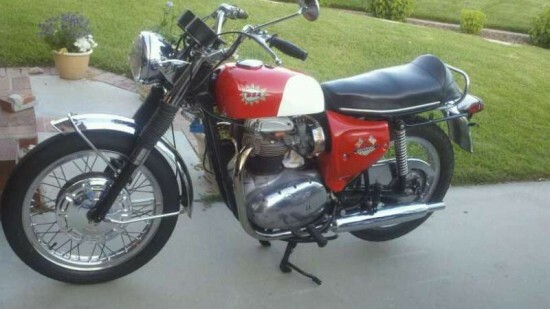 Fighting the East Coast bias, and the fact that English is read left to right, I will start with this 1968 BSA Spitfire offered up in California. It comes with Amal Concentric Carbs and a twin leading front brake. This is an example of the last year of the Spitfire and therefore has all the improvements of the breed. 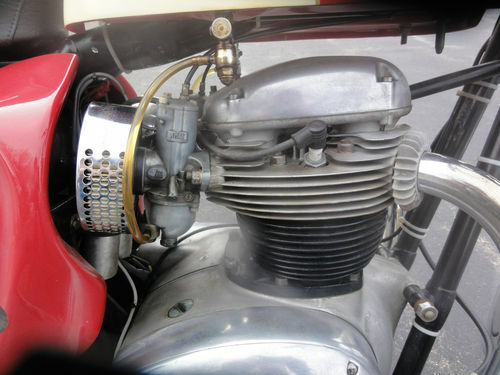 The engine designation for BSA’s 650cc vertical twin was A65, and the Spitfire name was given to the top performing 650cc twin. Offered from 1963 until 1968, the Spitfire distanced itself from the other A65 offerings with its larger front brake, lightweight alloy rims, and racing Amal GP carbs. Later in life the Spitfire lost its GP carbs, but got a twin leading front brake. This second Spitfire offered up on Ebay, is a 1966 model Spitfire, and some discussion has been started in the question section of the Auction. 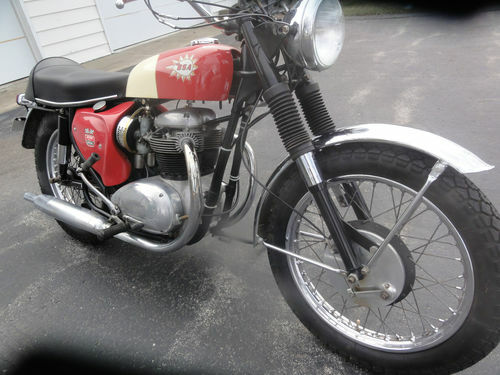 This auction is for a 1966 BSA Spitfire MKII 650. I purchase it from a gentlemen who owned it for the past 9 years of which it had very little use and was mainly admired in his hangar. So I can answer some questions about it, but not alot of questions. All the while it sat it was properly pickled, fuel drained etc. Anytime these BSA’s sit in long storage it is important to pump the oil back from the crankcase into the oil tank before starting and that was completed. This bike is a runner driver as is, right now. Nice rubber, no dry rot. There is a picture showing a slight gas leak in the left side of the fuel tank. (Somewhat common in these early fiberglass tanks) Inside of the tank looks very good. Choke cable needs to be replaced. Also, it has been converted from the problematic rectifier to a magneto/alternator which drastically improved reliability and has zero effect on appearance of originality. 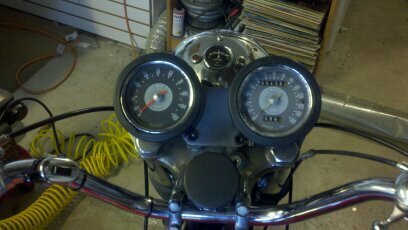 The charging system puts out and the amp gauge and all lights actually work. Unlike it’s Lucas heritage. In addition the working tach is not original. As pictures show the original lettering is still on the back of the seat and not rubbed off. The MKII if you are not familiar with them, have a hornet style gas tank and different style paint scheme, down swept exhaust like lightning. I have taken close up pictures of the chrome on the wheels, exhaust pipes and headlight. As you can see it is good driver condition but NOT pit free, dazzling show quality. This model Brit was never popular in the States when they were new and I am only speaking from my date of birth experience. Suggestion, if you don’t know how you are going to move this home, check with Federal Motorcycle Moving ( a division of Allied VanLines). They pick up and delicver motorcycles like a piece of furniture. Buyer to pay all shipping charges.